According to The Washington Post, the new Chair of the Senate Finance Committee, Senator Ron Wyden intends to give in to the army of corporate lobbyists and extend the corporate tax breaks that would cost taxpayers over $700 billion in the coming decade. 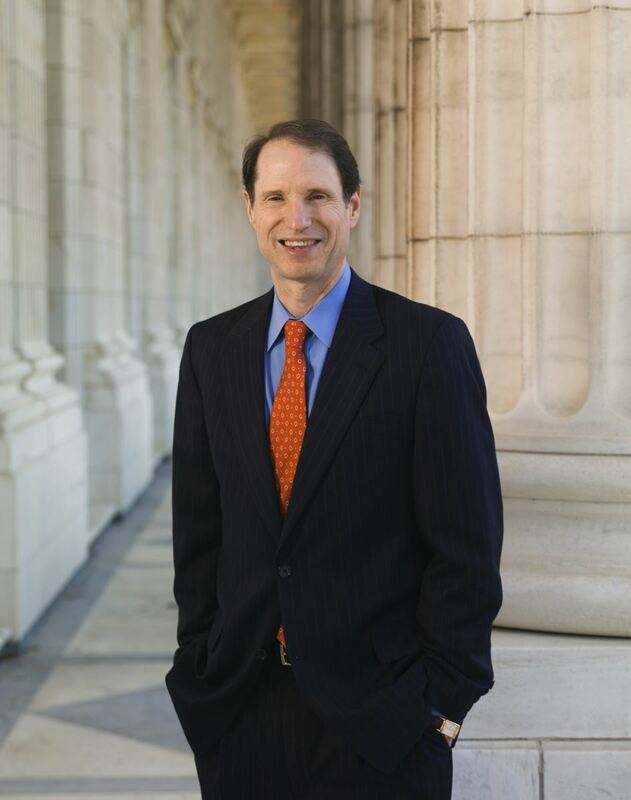 Let Senator Wyden know that you do not approve of extending tax breaks for corporations. Sign the open letter below. We are more than disappointed to learn that you, as the new Chair of the Senate Finance Committee, intend to continue the old ways on corporate tax breaks. Extending the expiring tax breaks will add $50 billion to the budget deficit while serving no useful purpose. According to Citizens for Tax Justice, the so-called corporate research and development credit only subsidizes research that would have been conducted anyway, and is used for decidedly unproductive purposes such redesigning food packaging. Ordinary taxpayers shouldn't be forced to subsidize accelerated depreciation, or Texas and Florida's preference for a regressive sales tax over a more progressive income tax, or promote Nascar racetracks, electric motorcycles and golf carts. The list goes on and on, as you know well. We strongly urge you to change direction: close corporate loopholes, tax overseas profits of US corporations, bring in revenue and increase tax fairness. Vulnerable Indiana 2nd District Congresswoman Jackie Walorski is walking a political high wire when it comes to immigration: if she supports comprehensive reform, she’ll enrage her Tea Party base; if she opposes it, she’ll further alienate the growing Hispanic community in her district. Indiana ADA organizer Jeremy Bernstein explains the role immigration will play in the one of the mostly hotly contested House races in the country. Continue reading this story here, and don’t forget to catch up on all of ADA’s Campaign Wrap-up’s on ADA’s Campaign Central page. 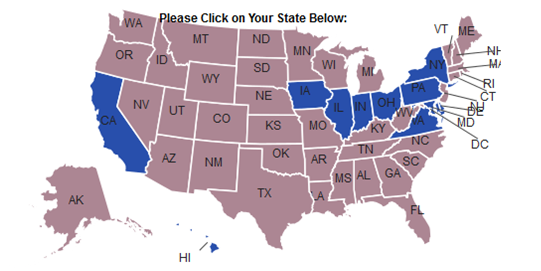 Today is the final day to sign up for insurance under the Affordable Care Act (ACA). If you haven’t already done so, sign up at www.healthcare.gov. What happens if you don’t sign up for health insurance? Don't panic if you have tried but were unable to finish your application online because of technical problems. There will be an extension for these individuals. Otherwise, you won't be able to buy individual health insurance under the ACA except under special circumstance (i.e. losing your job, getting married, or moving) until the next open enrollment. If you do not get coverage, the government may apply a fee of 1 percent of your annual income or $95 per person, whichever is higher. Copyright (C) 2013. Americans for Democratic Action All rights reserved. Last Wednesday, Glenn shared a poignant message on his Facebook page that explained he was "chasing the sun" as he flew from New York City to Washington state to join his siblings at his father's bedside as he neared the end of his life. On Saturday, William "Bill" Beck passed away at the age of 86. On radio this morning, Glenn was back in Dallas and explained what the last few days have been like for him and his family. Watch Glenn's moving tribute to his dad HERE. Save 10% on your next 1791 Supply & Co. order! Want to stay up-to-date on all the latest styles from 1791 Supply & Co.? Join the 1791 Store newsletter and enjoy 10% off your next 1791 purchase. By signing up for the email list, you will be the first to know about new products, exclusive offers, and more. Sign up for the 1791 Store email list HERE. Stay up to date in the search for Malaysia Airlines flight MH370 via TheBlaze. Check out the latest developments HERE. Did President Obama lie about what was discussed during his meeting with Pope Francis? Wednesday @ 8pm ET: For the Record exposes how the U.S. electrical system is completely defenseless against attack. Find out how easily a small group of untrained gunmen could blackout our entire power grid, causing a catastrophe equal to that of a sophisticated terrorist attack. Wednesday @ 8:30pm ET: Then, Real News Investigates looks into the mysterious circumstances behind the attacks on the California power plant in San Jose. Many suspect domestic terrorism, but little is known about the attackers and their motives. Buck Sexton investigates the truth behind the mystery. Do ever shop on Amazon? Please consider using AmazonSmile. Through Monday, March 31, Mercury One will receive an extra $5 from every purchase made on AmazonSmile. Click HERE to start shopping. Thank you for your support! On radio this morning, Adam Brandon, the executive vice president of FreedomWorks joined Glenn to discuss why the group decided to withdraw its support of Shane Osborne, who is running for the U.S. Senate seat vacated by retiring Senator Mike Johanns (R-NE), and endorse the candidate supported by Senator Mike Lee (R-UT), Ben Sasse. Plus, how are things going for Matt Bevin in Kentucky, Greg Brannon in North Carolina, Chris McDaniel in Mississippi, and others? Check out the interview HERE. Glenn believes that Chris Stewart's Wrath & Righteousness series is "the Left Behind series for a new generation." Now through April 1, you can start this ripped-from-the-headlines series about the eternal battle between Light and Darkness with the Episode One eBook for just $0.99! Order now from any of your favorite retailers, including Kindle, Nook, iBooks, and more. Actor Nick Searcy, who plays Chief Deputy U.S. Marshal Art Mullins on FX's hit TV show Justified, is an outspoken conservative in Hollywood — and he really doesn't care how anyone feels about it. Check out his blunt message for lefty Sean Penn HERE. After reading an article on TheBlaze over the weekend about a veteran teacher who endured shocking intimidation after opposing Common Core, Glenn decided the best way to react to the madness was with his own article for GlennBeck.com. Read Glenn's response HERE. 5pm ET - The Glenn Beck Program: Does Senator Rand Paul (R-KY) have a chance in 2016? One prominent libertarian doesn't think so. Glenn talks to Kevin Williamson about the state of libertarianism in the U.S.
6pm ET - Real News: Obamacare enrollment ends today… kind of. Reports say the government will meet the 7 million enrollee goal, but is that actually the case? The panel discusses the latest enrollment figures and, more importantly, what happens next. 7pm ET - Wilkow! : Pro-amnesty groups are attacking President Obama for being the 'deporter-in-chief,' but a new report from the Department of Homeland Security paints a very different picture. Andrew explains. We’re Up To The Final Four - And The Final 24 for Obamacare.